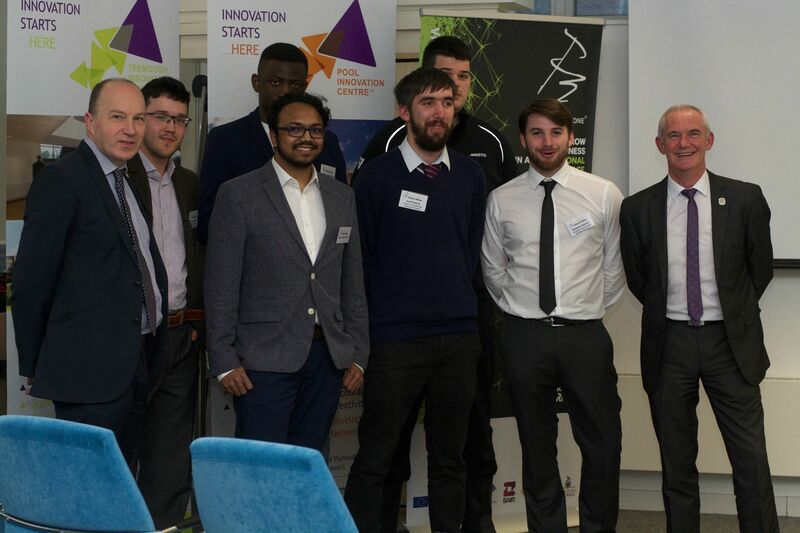 After months of hard work by all of our Formation Zone Business Challenge contestants, we were delighted to be able to announce the competition winners at a Reward Event on 21 April. After months of hard work by all of our Formation Zone Business Challenge contestants, we were delighted to be able to announce the competition winners at a Reward Event on 21 April. Our winners were presented with their awards by Plymouth University’s Deputy Vice-Chancellor Professor Simon Payne. The Reward Event was hosted by Bernard Curren of Cornwall Innovation, who highlighted the excellent work put in by all of our contestants and recognised the importance of the value added by taking part in Plymouth University’s outstanding range of extra-curricular activities, like the Formation Zone Business Challenge. We were also joined by Andrea Chandler, Managing Director of current Formation Zone clients Total Monkery, and Martyn King, Managing Director of former Formation Zone clients FUEL, who shared with us their experiences in Formation Zone. All of our contestants have shown progress and acquired new skills during the Challenge, and each business receives detailed feedback on their plan from our panel of expert judges. Our category winners all receive a £1,000 Santander Universities as well as a six month Formation Zone package to help them get started, with the overall winner getting an extra £2,000 Santander Universities award. As well as the category winners, Formation Zone also handed out two commendation awards to promising business ideas, which include a two month pre-start package. Health category and overall winner Thomas Pavelle. Creative category winners Questionable Quality. Digital and Technology category winner Feyi Ogunyeye.